CSKA Moscow remained perfect on the road this season and closed in on a Top 16 spot after downing Lietuvos Rytas 62-71 in Siemens Arena on Thursday. With the victory, CSKA stays in second place in Group D with a 5-1 record, while Rytas occupies fifth place after dropping to 1-5. After a close affair in the entire first half, CSKA used a 0-8 run midway through the third quarter to take control of the game and back-to-back three-pointers from Milos Teodosic made it a double-digit advantage and paved the way to victory. Sonny Weems had a game-high 19 points for visitors, Milos Teodosic finished with 13 while Sasha Kaun scored 10 of his 11 points in the first quarter. 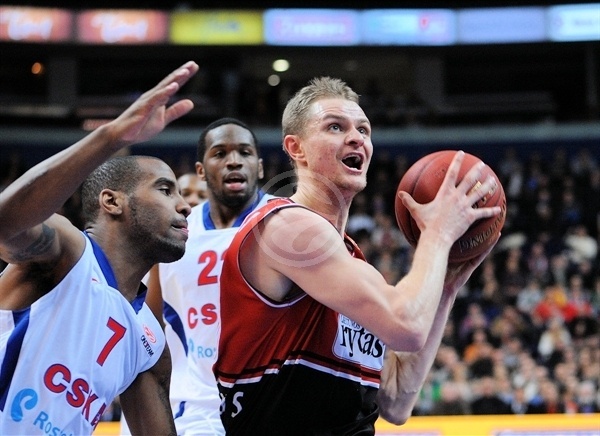 Leon Radosevic led the hosts with 17 points, Mindaugas Katelynas had 13 and Renaldas Seibutis scored 11 in defeat. Kaun opened the scoring in the game with a dunk and couple of layups for an early 0-6 advantage. 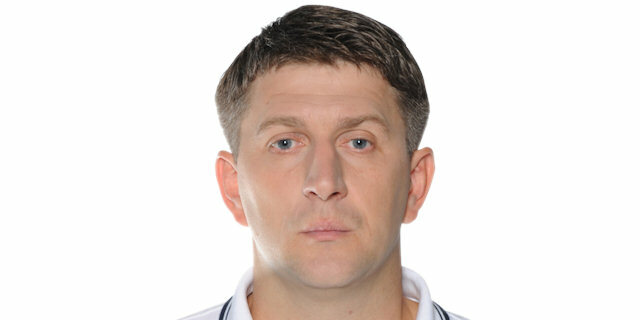 The hosts needed more than three minutes to open their account before Mindaugas Katelynas hit a triple. Then Katelynas scored twice more and Seibutis hit a triple making it 10-8. Viktor Khryapa and Leon Radosevic traded put-back dunks before Radosevic scored on a spin move and a dunk for a 16-10 lead. Kaun was the first player in double figures when he scored another layup and Aaron Jackson hit a floater before the buzzer to cut it to 16-14 at the end of the first quarter. 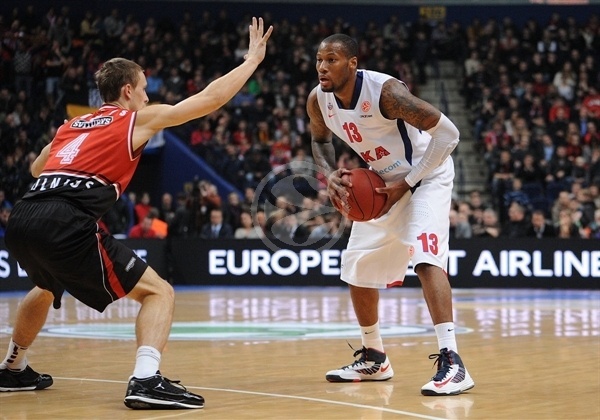 Radosevic and Weems traded baskets in the opening minute of the second quarter and Weems sank a triple from the left corner, which put CSKA up 18-19. Radosevic answered with a long jumper, continuing his run of 10 straight Rytas points before Dejan Ivanov and Nemanja Nedovic made it 24-19. Rytas stayed in front with big men Katelynas, Ivanov and Radosevic making free throws and hustling on the offensive glass, though Milos Teodosic and Vladimir Micov kept CSKA close. Andrey Vorontsevich had a dunk and a layup-plus-foul that made it 29-29. 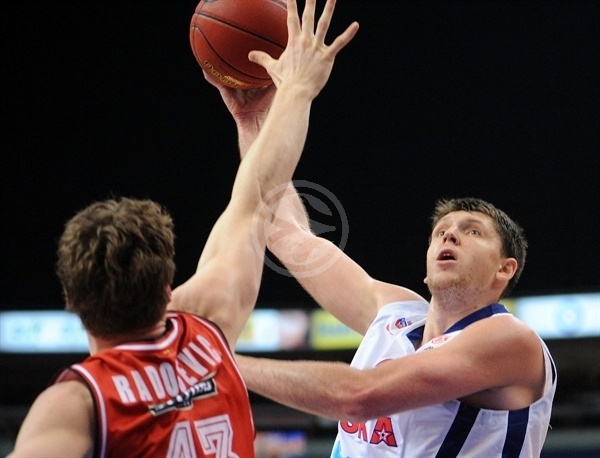 Layups from Micov and Khryapa gave CSKA a 32-33 halftime lead. Seibutis hit a jumper on the opening possession of the third quarter, but Weems answered with a jumper of his own and Teodosic sunk a triple to make it 34-38. Seibutis connected on two more jumpers to tie the game, but easy buckets inside by Weems, Micov and Teodosic made it 38-46. After a timeout, Steponas Brabrauskas hit back-to-back three-pointers to cut the deficit to 2 points and excite the crowd. Khryapa hit a triple on the other end and Weems and Krstic made sure CSKA took a 46-53 advantage into the final 10 minutes. Weems drove for a layup to extend the lead to 9 points at the start of the fourth quarter. 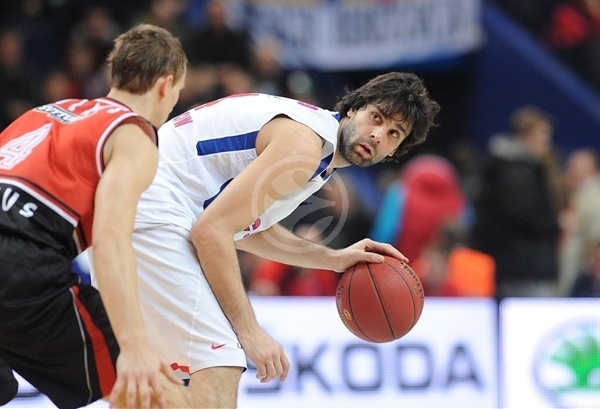 Radosevic and Deividas Dulkys sunk long jumpers, but Teodosic answered each jumper with a triple to make it 50-61. A long jumper from Weems made it a 12-point game and after Ivanov made a layup, Krstic scored twice inside to extend the lead to 54-67 and seal the deal. CSKA slowed down the tempo to close out the game as the hosts continued their struggles before Katelynas and Radosevic scored buckets in the final minutes that made the final score 62-71. "We had enough energy for 35 minutes, but 5 minutes of downfall disclosed the different levels of the teams. 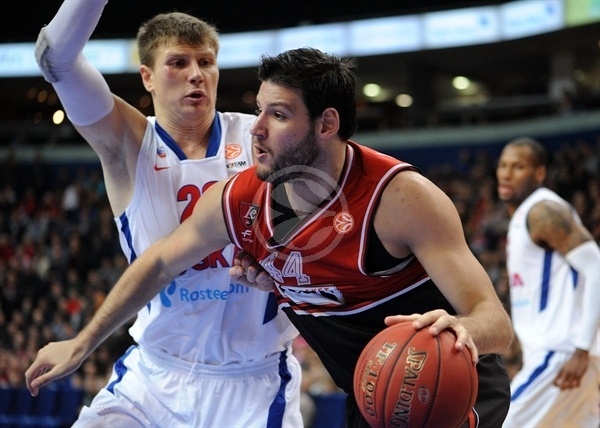 In the decisive moments, CSKA came out stronger and scored important points. Nevertheless, after the game I thanked my players for they passionate and ambitious effort." "We knew that it had to be a challenging game. We had problems in the first half because of lack of discipline. But in the third quarter we played very well, outrebounded them and took control of the game. We stopped their aggressive style and we responded aggressively as well."